The Polycom VVX 300 is a great entry-leveled business multi-media phone for today’s bustling workforce. It handles everything from small to moderate call volumes all while delivering voice which is crystal clear. The Polycom VVX 300 is a fully expandable business grade media phone that delivers enhanced collaboration and personal productivity. The VVX 310 is a business minded multi-media phone for built for today’s workforce. It handles small to moderate call volume and also delivers voice which is crystal clear and like The Polycom® VVX® 300 is a business grade media phone providing great collaboration features to enhance productivity that can be extended to a soft phone. 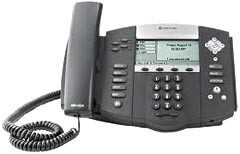 The Polycom VVX 400 is a full color, 12-lined Media Phone. They are built for today’s busy office workers and call attendants who need crystal clear communications. The VVX 400 series enables a high-quality Unified Communications solution that will handle your mid to moderate call volume while enabling the most advanced telephony features expected from a business telephone. The VVX 410 is a full color, 12-lined, Business Media Phones that was built for today’s busy office workers and call attendants who need crystal clear communication solutions. The Polycom VVX 410 enables your workers a cost effective and high-quality Unified Communications solution that will handle mid to moderate call volumes with the most advanced telephony features. 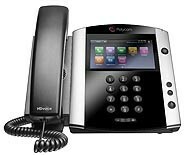 The Polycom VVx 500 media phone was created for today’s busy managers and knowledge-based workers. It is an intuitive and powerful handset that can keep up with your multitasking and diverse call handling. Aimed to cater for a wide range of UC environments, the VVX 500+ drastically improves efficiency through the touch-screen interface and supports expansion modules for applications such as personal video conferencing and wireless networking. Improve productivity and enrich collaboration with the definitive, all-in-one, one-touch desktop UC solution created specifically for knowledge workers, managers and executives. The VVX 600 business media phone gives you the best-in-class personal communications with an extensive list of easy-to-use features that complement the way you work with a voice over IP phone. 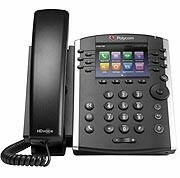 The Polycom SoundPoint IP 335 is a two-line enterprise-grade IP desk top phone with excellent sound quality. 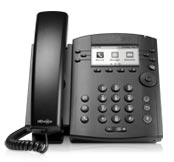 This user friendly device comes with Polycom’s HD Voice quality and enterprise-level features. The IP 335 is a simple and reliable desk-phone that offers you distraction free phone service communications. 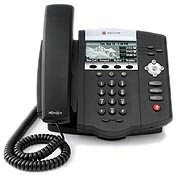 The Polycom SoundPoint IP 450 is a three-line SIP desktop phone with crystal-clear voice quality. It also offers a comprehensive range of features and applications that support business workflows. 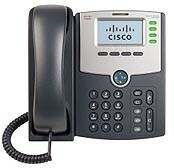 Your teams will find the IP 450 brings life like richness and voice quality to every phone call. The IP 450 combines state-of-the-art hardware with the proven Polycom UC software. 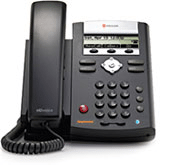 The Polycom SoundPoint IP 550 SIP desktop phone is a four-line device with rich voice quality. These phones offer a diverse range of advanced applications and features that support your business. 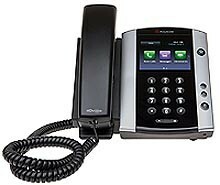 The IP 550 is a state of the art desk phone with the proven Polycom HD Voice designed for busy professionals. The Polycom SoundPoint IP 650 offers advanced features and crystal-clear voice quality that supports your needs with a reliable communication device. 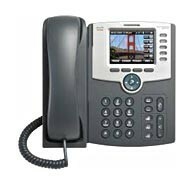 The IP 650 gives you a six-line SIP desktop phone that brings life-like fullness to every phone call. You can now combine cutting edge hardware with the recognized Polycom UC software, which is designed for busy executives and professionals. 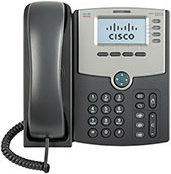 This 1-Line IP Phone is easy to install and supports secure remote provisioning as well as having a web-based configuration. The SPA301 fulfills the needs of the traditional business user and takes advantage of the flexibility of IP telephony. This high-quality 3-line IP phone has the ability to support up to 3 calls simultaneously, making it popular with small business employees who need an affordable multi-featured phone. 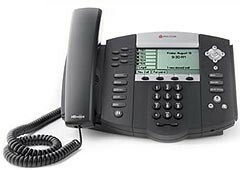 This is great for small businesses that need a reliable, and easy-to-use business phones with Session Initiation Protocol (SIP) or Smart Phone Control Protocol (SPCP). The 504G has the ability to support 4 calls simultaneously. The Cisco 504G was designed for power users in sales and customer service departments who completely depend on their phone throughout the day. 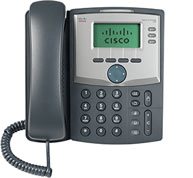 Two Cisco SPA500S Expansion Modules are supported that allows you to add an additional 64 lines, making it a match with receptionists and secretaries. The 508G has the ability to support 8 calls simultaneously. This phone was designed for busy managers and administrators who require extra keys for speed dials, shared lines, and to monitor lines. 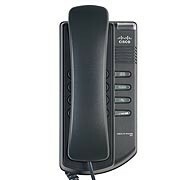 This model is expandable which can add up to 64 additional lines and can be used as an IP conference phone. The SPA514G keeps small businesses productive and responsive with 2-Port Gigabit Ethernet Switch and is a 4 Line IP Phone that provides affordable, advanced voice and data communications. The phone includes many functions such as simple station moves, shared lines across different locations, intelligent call handling, and conferencing support. This 5-Line IP Phone is an excellent option for businesses that want to improve the user experience with a full Color Display for a hosted IP telephony service. The SPA525G2 utilizes SPA voice over IP technology with connectivity via Bluetooth, PoE, or a Wireless-G client and can improve the user experience with VPN and video surveillance applications.